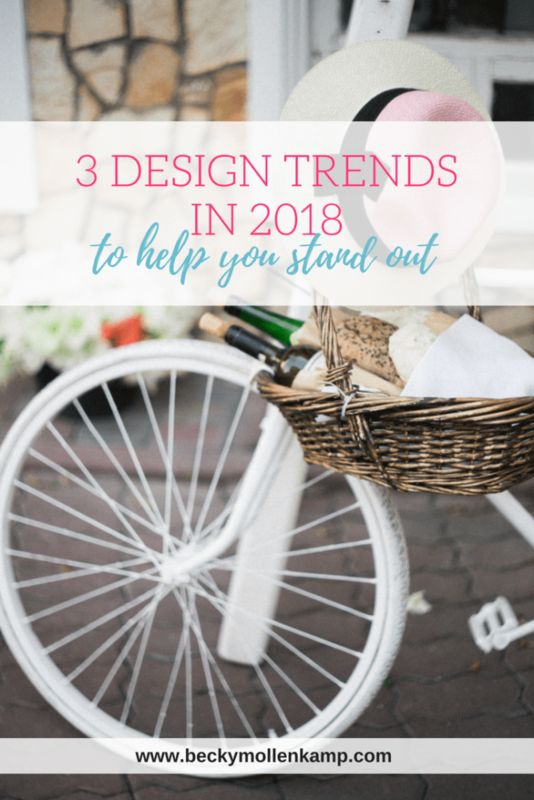 3 Design Trends for 2018 | Own It. Crush It. When it comes to your logo and visual brand, chasing trends isn’t the goal. You’ll end up outdated after a year or two and will have to start over again. (Watercolor, anyone?) Not the best long-term business model. There’s a difference between chasing trends and being relevant. Just like technology, design is ever-changing. So long as we have life going on around us, we will have art and design to reflect—and resist—the times. Here are three non-gimmicky design trends for 2018 to uplevel your visual brand and stand out among the digital noise and busy news feeds. Have you noticed that everything online has started to look the same? Do you think your customers are thinking that as well? Are they just scrolling mindlessly until something jumps out at them and catches their attention? You don’t have to redo your whole color palette unless you want to. All you need to do is add two or three unexpected, striking colors to pair with what you already have. Be brave and combine colors you wouldn’t normally consider. It’s an effective way to add punch to your marketing and get more eyes on you—without spending big bucks. Literally every website home page greets us with what is called a hero image. It’s basically a large image that serves as an opening into the experience of the site. It was a digital design trend from a couple years ago. I’m in favor of it because images are captivating and help tell our story as soon as someone lands on our site. However, it goes back to the same argument of everything online looking the same. Split page design is kind of like a revamp of the hero image. It’s an interesting and unexpected way to greet your site visitors. Along with bold colors, the use of bold fonts is on the rise to stand out in the saturated online space. I’m not talking about just making your normal font choice bold instead of regular. The fonts themselves are heavy and commanding. Bold fonts work best when used sparingly, like for headlines and quotes. Handwritten fonts (not script fonts) add an edge to designs when used appropriately. Use them sparingly, like accents. Handwritten fonts are an easy way to add a more personal, human quality to the digital world. To recap, don’t start chasing projected design trends. Some are lovely. Some are gimmicky. Some are just plain bad taste. You have to know what works for your visual brand and your audience. The goal is not to rebrand every year. These three design trends are classy, polished, and are recommended ways to refresh your image while remaining true to you and avoiding alienating your audience. 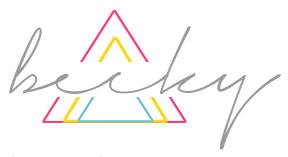 Erica Lampley works with purpose-driven women ready for a polished and professional look that REALLY feels like them. They’re done wasting precious time tweaking their designs and want an expert to truly GET them. She makes their ideas a reality with stand-out visual design targeted to their ideal clients, so they can confidently put themselves out there and move their businesses forward. Get Erica’s FREE simple way to look more polished and professional in your marketing.